When I wake up in the morning, the hardest decision of my day is choosing what to wear. Sounds like an easy life doesn’t it? But we women know that this is one of, if not the hardest decision of our day because if the end result of my outfit choice is an unhappy me, then the rest of the day is going to be a slog! Reason being, too much choice can stress us out! However, so too can too little choice when picking an outfit. It’s an art, and one that you cannot master overnight. Finding the balance is often key for me to create an outfit I’m proud of; every. Single. Day! So, I figured I’d share my process on how I’m coming up with fresh style ideas every day that helps make the hardest decision of the day become the easiest. Firstly, ahem… have you tried outfit planning apps? Hear me out on this one – if you’re too lazy or tired on the morning to worry about thinking about what to wear, an outfit planning app may just be your Knight in shining armour! Be careful though – some apps show your items as more of a collage, while some use ‘graphically designed’ images rather than giving you the opportunity to take pictures of your own clothes or refer to your desired search choices (think item, colour, fit, style etc.). My app of preference would have to be ClosetSpace – there is both a mobile app and desktop site, with the functionality to allow you to add URLs from products you have/like (should you be using it for outfit ideas rather than your own clothes). If you aren’t yet, use Instagram! Instagram is my ‘go to’ for fashion inspo. There are plenty of hashtags you can search for to help you find fashion influencers, style bloggers, brand ambassadors and brands that can inspire you to create awesome outfits ,daily. I’ve found so many cute, boutique and amazingly inspirational brands this way. 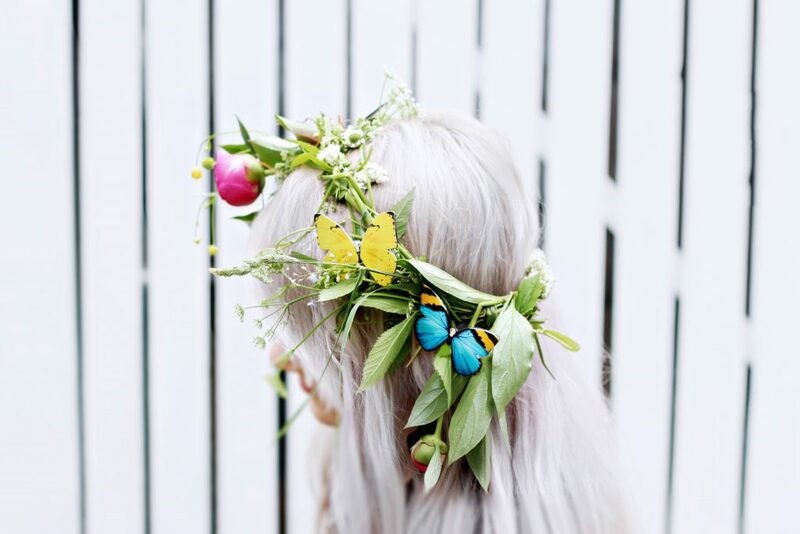 Most recently, I found vegan friendly ‘butterfly inspired’ fashion accessories from KUMA Design. What I like to do with Instagram is see what style or identity the brand/ambassador is offering and see how that reflects my own personality, which is why I fell in love with KUMA. Each accessory is designed to reflect a personality/persona or spiritual feeling, which resonated with me as I am quite a passionate person. Furthermore, Instagram is great for connecting with ‘influencers’ too. Usually, they’ll respond to your inbox messages or comments with feedback on where they got their outfit, make-up or accessories from and why they chose to work with the brand. That helps me from a ‘morals’ perspective as I try my hardest to not purchase from brands that test on/are cruel to animals. This might sound silly, but I try to map out my outfit(s) before I were them – usually a day in advance if I can. This is because my mood my mood may change drastically overnight, and I might decide to change my outfit completely – this is dependent, of course, on external circumstances. But to be honest with you, talking from experience, best to not let external forces impact your fashion decisions!